On this tour of Ukraine, engage with the Russian Mennonite story past and present. Visit the Stalinist city of Zaporizhye and the former colonies Chortitza and Molotschna, which were settled by Mennonites in the late 1700’s. Expert guide Len Friesen will shed light on the Mennonite story within the rich context of Tsarist and Soviet history, as well as present-day realities and challenges. During visits to the colonies, explore villages related to your family roots. This tour includes several optional excursions balanced with times of rest and reflection that will appeal to people of a variety of energy levels. Tour storyteller Len Friesen is the Associate Professor of History and Global Studies at Wilfrid Laurier University and a member of Waterloo North Mennonite Church. 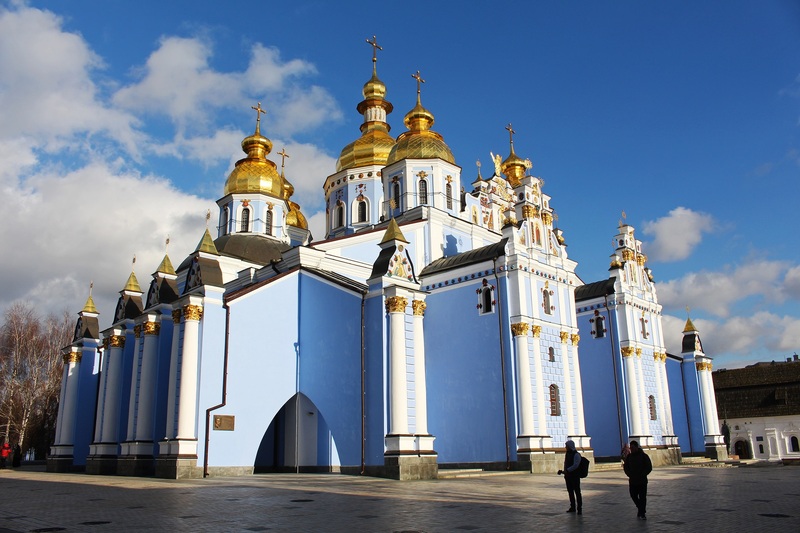 For an enhanced travel experience, and a fuller understanding of the Mennonite story in Ukraine, consider combining this tour with Treasures of Russia: Moscow & St. Petersburg Tour, June 10-17, 2019. Arrive in Kiev, transfer to your hotel and enjoy dinner with your fellow tour members. This morning, see the Pechersk Lavra, a historic but still active orthodox Christian monastery that is also a UNESCO World Heritage site. Visit the impressive 100-metre Rodina Mat’ (Motherland) monument, then stop at St. Michael’s Golden Domed monastery. Take an optional evening stroll to St. Volodymyr’s Church, and Shevchenko Park, where you’ll see a monument dedicated to Taras Shevchenko, a Ukrainian, poet, artist, and political figure who lived in the 1800s. Spend some free time exploring Kiev at your leisure, then catch the train bound for Zaporizhye. Tour Zaporizhye, a city built by Stalin in the 1930s on top of Chortitza. Zaporizhye is known for being the epicentre of a revolution that unleashed great terror for Mennonites. See the great Stalinist dam, and visit the Island of Chortitza for lunch. Continue your tour of the city, stopping to admire the remains of the old oak tree (believed to be over 700 years old) that Mennonites once used as a meeting place. Today, we’ll travel to former Mennonite villages on the north side of the Molotschna colony. Nothing can describe the special experience of visiting the land where your forefathers and mothers lived and died. Though few original buildings remain, seeing the land and hearing the stories is sure to give you new insights about Mennonites and your family. Enjoy a meal at the Mennonite center in Halbstadt to add to a meaningful day. Continue your tour of the region, and possibly return to the colonies for the day. Today may also include an extended tour of Zaporizhye —there’s so much to see! Today is a flexible day that can be used to arrange individual tours to see villages or sites important to your family. Or you can explore Zaporizhye —shop at the daily market, walk through the Voznesensky Park on the banks of the Dnieper River, see the MCC offices, or take a boat tour around Chortitza Island. Relax on a coach ride to Odessa—a beautiful city set along the cliffs of the Black Sea. Explore the lovely port city of Odessa—a city that grew from a village to a thriving city under Catherine the Great in the late 1700s. There will be a possible evening excursion to the ballet or opera in Odessa’s grand theatre. Depart Odessa with a greater understanding of your ancestors and the land they once called home. Return home or continue on the Treasures of Russia tour.